Glossy lips look great with any look. It's a product that undoubtedly changed the face of the beauty industry, so it's no wonder that the history of lip gloss is so intriguing. Sparkling, glittering, shining and moisturizing lips for decades, this revolutionary product became a favorite almost immediately! 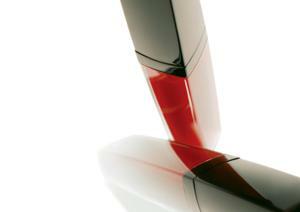 True to its name, lip gloss is a cosmetic product that lends the lips a shiny, slick appearance. At its most basic, lip gloss is ideal to wear on its own or on top of lipstick. More complex lip glosses, however, serve various purposes. Colored glosses enhance the lips with just a hint, and sometimes more than a hint, of color. Glittery glosses bring a playful twist to any look and are especially popular amongst teenagers and young girls. Flavored glosses, meanwhile, are all about genuine scents! While they also give lips that enviable shine, their main source of attraction is fragrance. Recent years have witnessed the growth of the plumping lip gloss. Now more than ever before, women have taken a much more active stance in the appearance of their lips; it's no longer good enough to just slick on some gloss and go. That's where the plumping gloss has come in especially handy. Infused with ingredients that cause either discreet or noticeable enlargement, these glosses stand in when collagen injections just aren't viable options. It should come as no surprise that the history of lip gloss begins with Max Factor. A pioneer in the world of makeup, Factor was legendary for his contributions to the major motion picture industry. In the early 20th century, the glamour and decadence of film was limited slightly by the appearance of makeup on the actors' faces. While Technicolor had introduced the world to a new, bolder and more colorful way of viewing films, the makeup industry had not yet caught up to the innovation. In fact, makeup artists continued to use the same cosmetics they used for actors in black and white films. This paved the way for the first makeup used in color motion pictures. Created by Factor in 1914, it solidified his status as the authority on all things makeup. Of course, Factor did not stop there. The next invention came in 1930, when he introduced the lip gloss. Created especially for film, the gloss's original intent was to lend the lips a shiny appearance on camera. The glossy, almost glass-like aesthetic lent actors the polished look they were after, and it fit in well with the smooth, porcelain skin accredited to Factor's film makeup. The first commercially available lip gloss was called X-Rated, and it was a hit when it launched in stores in 1932. In fact, it remained in production until 2003, when Max Factor's parent company, Proctor and Gamble, discontinued it. Ask any child or teenager and chances are she'll know all about Lip Smackers. A product that has had a strong impact on the beauty industry, the Lip Smacker was created by Bonne Bell in 1973. Essentially considered the cosmetic of choice for school-aged girls all over the world, it got its start as a flavorless, simple gloss formulated especially for outdoor enthusiasts. Noting that it didn't differ very much from other glosses on the market, though, the company's chemists experimented by adding flavor to the product. The result was the Lip Smacker we all know today. The first flavor to appear in stores was Strawberry, and it was a smash, not least because it was so unexpected and true to its name. Today, this legendary product is available in many flavors, ranging from Berry Peach and the best-selling Dr. Pepper to Watermelon Cherry Kool-Aid and Rock Candy. The company has updated the formulas, too; now, in addition to the original moisturizing version, there are also shimmery, iridescent and liquid versions. Despite its early beginnings, lip gloss as a commonplace cosmetic bag essential did not really latch on until the 1970s. It was during this period that celebrities began to influence women with their preference for gloss over lipstick. The actresses who portrayed Charlie's Angels, for example, were known for more than just winged hairdos; they also sported glossy lips! Today, lip gloss is one of the most innovative products available. It is constantly reinvented and reformulated to meet the needs of women all over the world. From fuller pouts to sparkling lips, the most desired looks can easily be achieved with a slick of lip gloss.